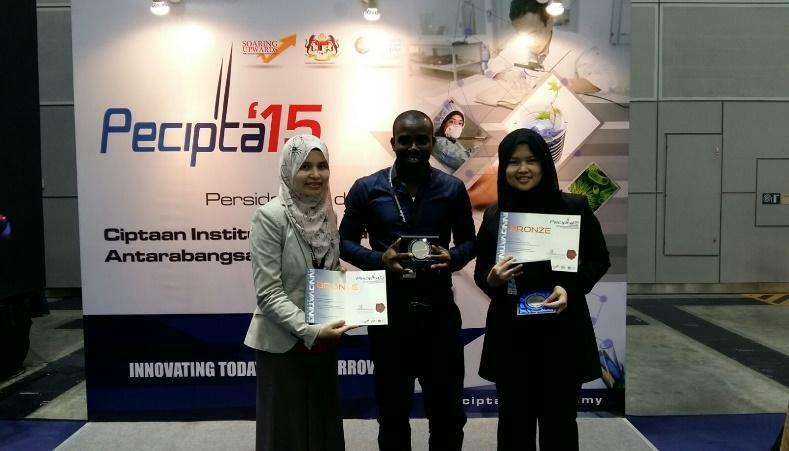 The Infrastructure University Kuala Lumpur (IUKL) made further strides in the research field after two teams from the Faculty of Engineering and Technology Infrastructure (FETI) won bronze medals at the 14th International Conference and Exposition on Inventions by Institutions of Higher Learning (PECIPTA 2015) which was recently held from 4th to 6th December 2015 at the Kuala Lumpur Convention Centre. 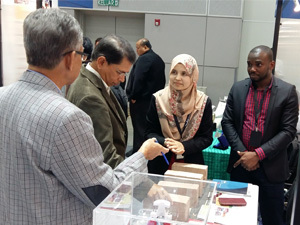 The bronze medals along with certificates of appreciation were conferred to Mr. Amirrullah Maat, Ms. Najiah Adam Tong, led by lecturer, Dr. Nurharniza Abdul Rahman for their project on ‘The Gruffness of Steel Fibre in Concrete Column’ under the Art, Design and Creativity cluster, and for the second winning team, they were awarded for their project titled ‘The Dynamics of Stabilized Earth Block’, under the Manufacturing Technology cluster. This team comprised of Mr. Temple Odimegwu Chimuanya, lecturers, Ir. Tengku Anita Raja Hussin and Ms. Noorbaya Mohd Salleh, the leader of the team. There were approximately 500 participants from various institutions who competed in the prestigious event. PECIPTA is a biannual event organised by the Ministry of Higher Education, Malaysia together with a selected local university since 2001. 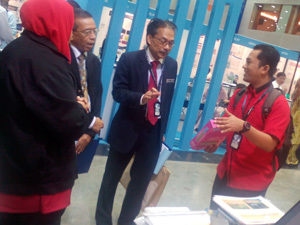 This year the event was hosted by the Universiti Pendidikan Sultan Idris (UPSI). The aim of this event is to showcase the creations and innovative products and services from the local and international institutions of higher education. PECIPTA creates a platform for networking and collaboration opportunities for participants to develop prototype and to commercialise their products.